In this podcast, two board members of the well-known island nonprofit Squeaky Wheels invite you to join one of the island’s great annual outdoor bicycling traditions. 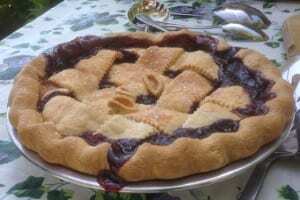 They describe the upcoming “Bike for Pie” event, for Sunday morning, August 9th. Squeaky Wheels president Ross Hathaway and club treasurer Bruce Bachen describe this year’s event to BCB host Peter Harris (who is also on the board of Squeaky Wheels). 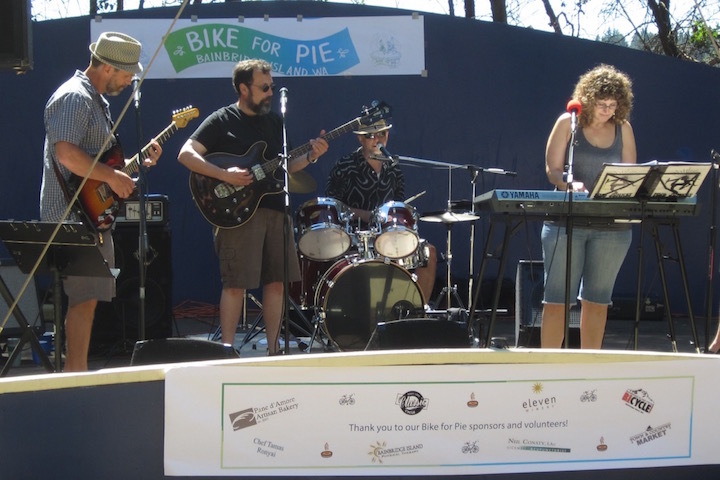 Bike for Pie is a very special, fun event for bicycle riders of all abilities and features after-ride festivities at Waterfront Park that include live music and some great, freshly-baked pie. This is a great way to experience Bainbridge Island and to spend a summer Sunday morning with your family, friends and neighbors! Bike for Pie offers two routes that allow riders to choose how they want to experience riding on scenic Bainbridge Island. Both rides start and end at Waterfront Park, near the Winslow ferry terminal, making it convenient for riders coming over on the Seattle ferry. The family ride is 8 miles and is fairly flat. Part of the route goes along Murden Cove with great views of Seattle. See the family route map for details. 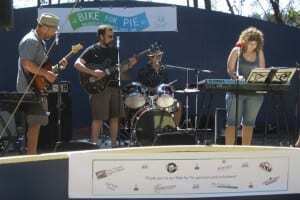 Live music will greet you back at Waterfront Park after your Sunday morning bike ride. For those looking for more miles and hills, the Challenge route is 32 miles long with elevation changes of 2300 feet. This route includes an extra rest stop, sponsored by Friends of the Farm, and this year’s stop will be at a new location, Johnson Farm. See the challenge map on the Bike for Pie website. The event is a fundraiser for the Squeaky Wheels nonprofit. A discount is available for those who register by August 1. Credits: BCB host: Peter Harris; BCB audio editor and social media publisher: Barry Peters.